The Best Cinnamon Rolls Ever! 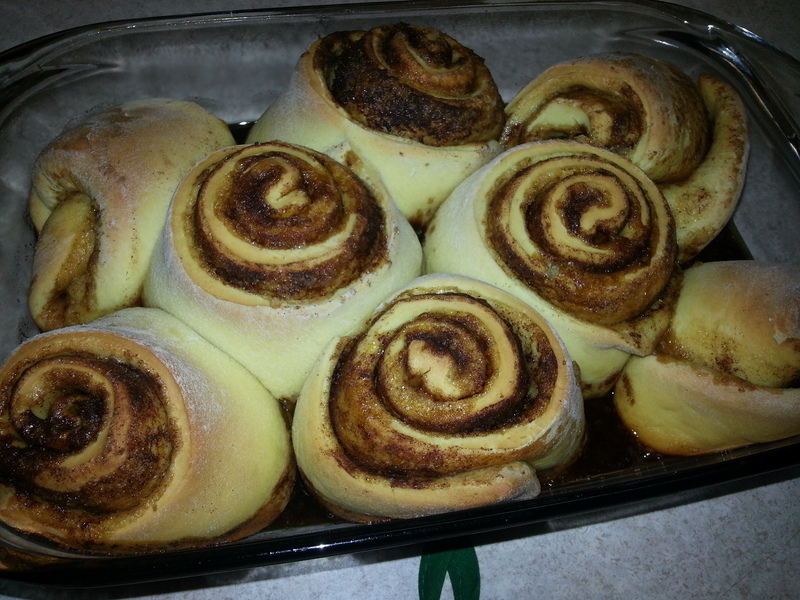 I have tried a few different recipes for cinnamon rolls and they were ok. I had trouble finding the one that was something I would want to make again. You know, the wow factor. Then I was discussing this with a friend of mine during a summer wiffle ball game. Turns out she has a great recipe. I’m skeptical but I figure I will give it a shot. Really I just figured the only good way to get a good cinnamon roll was to go buy them pre made at the store. Oh boy was I ever wrong! These are just fantastic. Nothing but good things to say about these delicious beauties! Here is the recipe. Add to bread machine and set to dough cycle. When done roll out (I cut my dough into 2 pieces and work from there) and smear with butter then put brown sugar on the dough and sprinkle with cinnamon. Slice into strips with a pizza cutter with your desired thickness and roll. They do not need to rise again, but sometimes I let them rise just a bit more to make them nice and puffy. Bake at 350. Frost with cream cheese frosting while still warm and ENJOY! I’ll be honest. I have never actually timed how long it takes for these to bake. I just go by smell and my nose never lies! I would guess it’s about 35-40 minutes. My pictures in no way to them justice, but I really don’t get much time to snap pictures. They are gobbled up very quickly. I May be Crazy but….. Giving it the Kiss T… on I May be Crazy but…..
Bethany Delray on I May be Crazy but….. 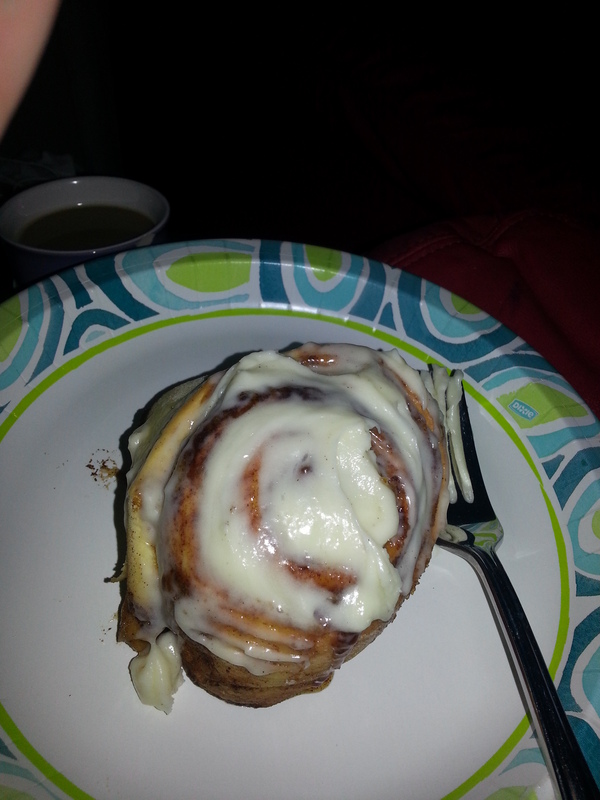 Giving it the Kiss T… on The Best Cinnamon Rolls Ever! mkbfoods on The Best Cinnamon Rolls Ever!